Sometimes the enemy is very ingenious in his deceptions and other times he relies on old schemes because they seem to work so well. While the dangers of the seeker friendly and purpose driven movements are a cancer eating away at the bride of Christ, Modalism dates all the way back to the second century. It was deemed heresy then and it remains heresy today. Sometimes it is difficult to see where the danger is with such false beliefs. It is easier to connect the dots to false conversions with some of the more modern heresies we see. After all, people rolling around on the ground appears to be much lower hanging fruit then discussing the nature of God. That is the core of the danger however. Holy Laughter might be more obvious but heresies like Modalism are more dangerous because many people belong to churches that adhere to modalistic teachings and they may not even realize it. Thus you are being taught about a false god. It is a god that does not exist according to the Bible. Beloved, you cannot worship a false god and be saved. It simply does not work like that. So what is Modalism? Simply put, Modalism is misunderstanding the nature of who God is. 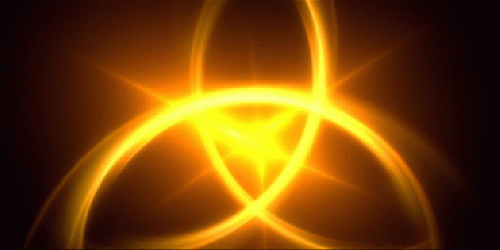 The traditional view held by Christian faith is that God is a triune God; a trinity. That He is entirely God the Father, God the Son and God the Holy Spirit. Modalism believes in what is known as oneness theology. That God existed in various "modes." That in the Old Testament His manifestation was as the Father. The Gospel period He was manifested as the Son and during the church age He is manifested as the Holy Spirit. That these three modes never occur simultaneously. While that may sound reasonable it simply is denied by Scripture. For instance, what does one do with the key verses then? Who was the voice from heaven declaring Jesus was His Son? How did the Holy Spirit come to rest upon Jesus if they can only manifest in singular modes? Leaven here is representative of false teaching. Specifically at that time a group of people known as the Judaizers had infiltrated the Galatian Church and were teaching that while grace was certainly needed for salvation, so was circumcision. One might argue that this was not a big deal. Who cares if they also get circumcised? As long as they have professing faith in Christ right? Wrong. Severed from Christ! Seems like a pretty big deal. A little leaven leavens the whole lump. Paul urged his protege Timothy to guard only two things. His life and his doctrine. If your starting point for faith is false, of what good is the rest? If your core belief is to not even understand who God is how can you claim to be in relationship with Him? Beloved God is not some deranged entity with a multiple personality disorder. He is and always will be entirely God the Father, God the Son and God the Holy Spirit. Make sure you know what you have placed your faith in because the Bible says that we may indeed believe in vain.